So, I finally have some time to get you guys updated on the cottage kitchen renovation. Hubby and I went away for a couple of weeks to Barcelona, Spain for our 30th anniversary, so I did have a good excuse. It was FABULOUS, by the way….what a great city! But more on that, in another post. So here’s my design plans for the space. We wanted to largely keep the footprint intact, with some minor changes here and there. Mostly because logs homes, don’t make it easy to move walls, electrical or even plumbing, but also because we have a fairly strict budget. And with the island being part rock, well, that wasn’t getting moved either. But, as per usual, things change when you are renovating and this space has been no exception, more on that later. 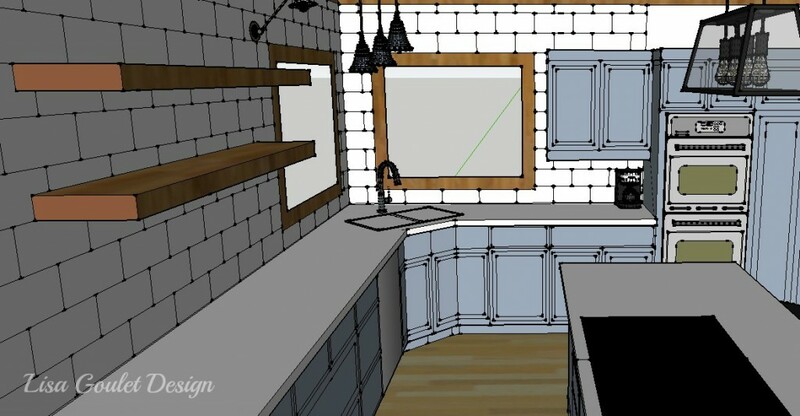 The island will have be one flat surface counter as opposed to the lower edge that it has now. That way we can actually use it for stool seating. As it is now, it’s far too low for anyone to sit there. All the perimeter cabinets will be painted Benjamin Moore’s New Hope Grey. 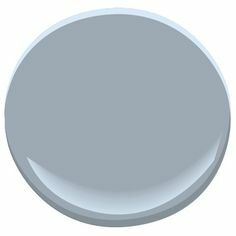 A beautiful blue/gray that I’m so excited to use. Hubby requested that the island be a contrasting colour and black, was the no-brainer choice. 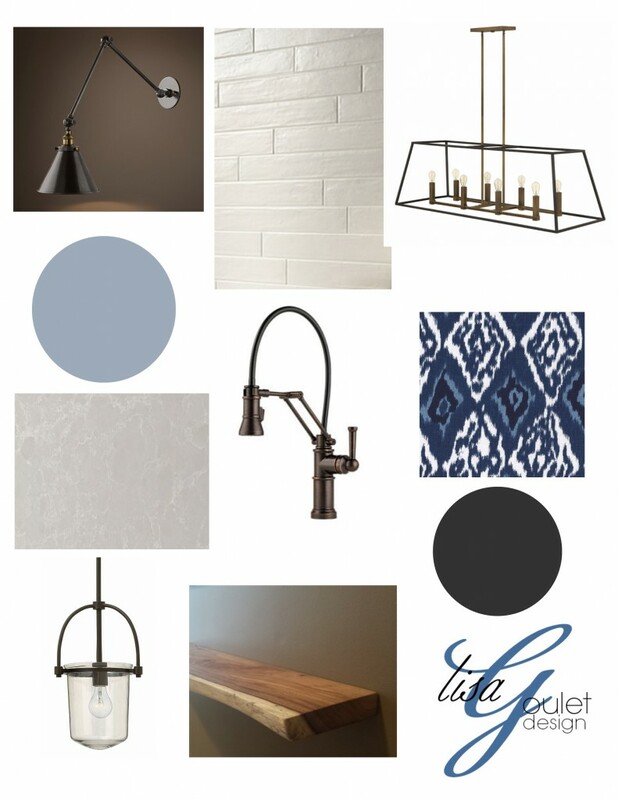 It will coordinate nicely with the black chalkboard wall, the existing knobs & cup handles (which I’m hoping to reuse) and the new light fixtures and faucet which are also in dark finishes. I will be reconfiguring some of the island cabinetry. Two wine racks will be moved from the left side of the island end to live beside the two on the right side of the island. They should fit nicely side by side and that way I can square off the island, as I’m really not keen on the angled island ends. 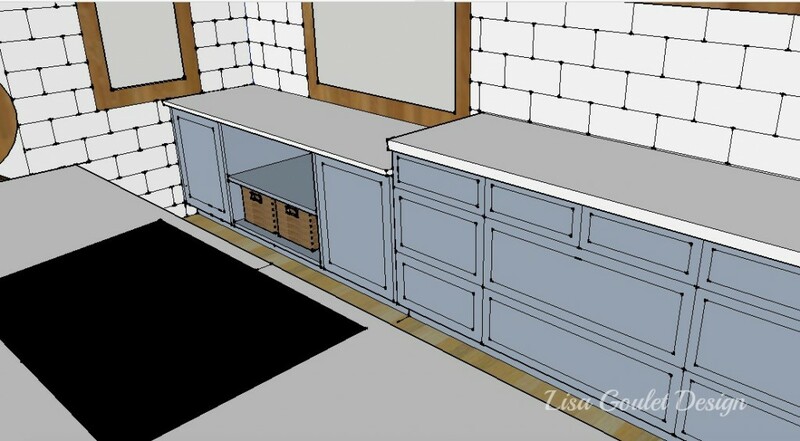 A wine fridge is also being added to the island so the cabinetry will have to be adjusted for that as well. The upper cabinets have all been removed and will be replaced with two live edge wood shelves. That was a hard sell with hubby, but I persisted and I’m thrilled with how open the kitchen already looks without any upper cabinets. 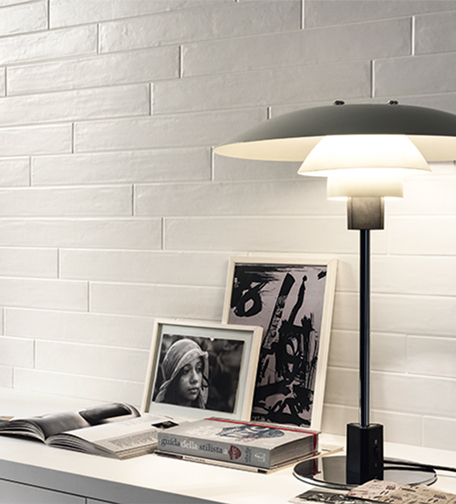 I decided on a matte white, large scale subway tile with a handmade feel to it. It is shown below, except the ones I’m using are actually a little wider, but the same length. I’ve chosen a soft grey grout as well, since I don’t want to deal with having to clean white grout…phbttt…. There is a lower part of the counter (due to two lower windows) at the end of the cabinet run. It turned the corner and ended with a never used desk. I have to admit it had me stumped for a long time, I originally wanted to do a window seat with storage but after going back and forth with designs, I just couldn’t commit. Hubby wasn’t thrilled with this idea, as he felt that since we were having stools at the counter, we didn’t need a second seating area in the kitchen, especially because right outside the kitchen is a large window seat and a huge dining table with 12 chairs. I agreed that it was probably seating overkill, so I ditched that idea and decided on making the area feel a bit more like a free standing buffet. This way I would still have lots of storage and I could get rid of the useless desk at the end of the run and also have a nice little open area to feed the cats. I’m going with open shelves between two closed cupboards so I have a little display area that will feel a little different than the run of drawers right beside it. The upper microwave cabinet with be replaced with one that is shallower and slightly wider. I am still going back and forth as to whether I want it to be an appliance garage but I will hold out judgement on that, until I talk it out with my carpenter. 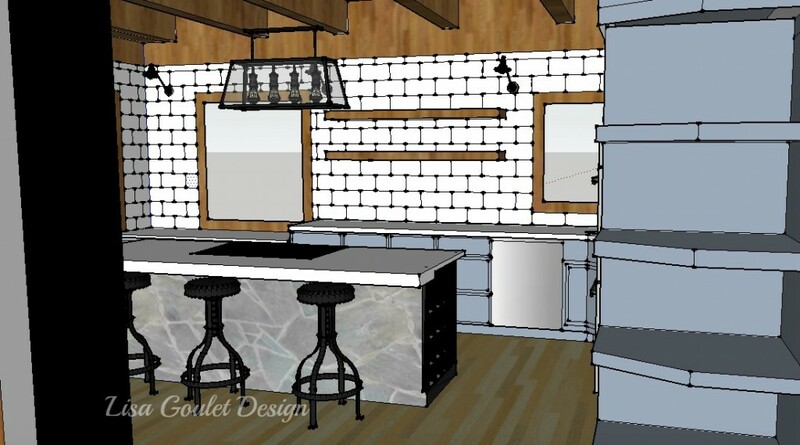 So there you have it, the kitchen plans and I’ll update you next week, on how they have changed. Stay tuned as I’ll be posting in the next few weeks, about the lighting (one of my favourite parts of any reno), the appliances and the fixtures.